The arrest and prosecution of a DUI case involve specific legal steps that must be followed or the case will fall apart. The DUI investigation is highly technical with the police officer training playing a major role in whether the case can be prosecuted. The police officer must not only follow all the legal requirements but also he must follow all the scientific requirements during the investigation. In addition, to pull your car over, the police officer must have a reasonable suspicion to start the investigation and a probable cause to arrest you. During the investigation, the police officer will usually take copious notes to build a criminal case against you to prove your guilt. Often, even slight errors by the police officer during the investigation will help fight your DUI case and get your DUI dismissed. DUI Attorney will help you figure out the best way to increase your chances of dismissing your DUI case. whether there was an accident etc. The jail time is not often imposed on a first offense DUI. Yet, several aggravating factors can cause the prosecutor to ask for jail time. As discussed above, accidents and high blood alcohol level might cause harsher punishment. If you’re charged with an aggravated DUI, the court can also sentence you to a various additional condition of probation, such as MADD classes, attendance in alcoholic anonymous groups, Hospital and Morgue program etc. 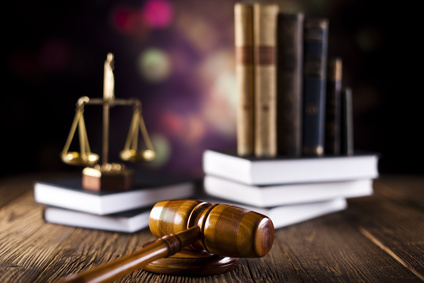 Defense attorneys can use the following standard strategies and tactics to defend your case at trial or to get a good plea bargaining offer from the prosecutors. Here are the 5 most common DUI Defense Strategies to negotiate a better deal or defend your case at trial. Unreasonable traffic stop. A police officer needs a reasonable suspicion that a crime took place to pull you over. For example, for a traffic stop, the police officer needs to observe a traffic law violation or to have another reason to approach the vehicle. A valid reason to approach the vehicle can be an observation that someone in the vehicle needs immediate assistance. If police officer stops you on a “hunch” or because he is profiling you based on your race or a suspicion that he can not articulate, your DUI can be dismissed during a search and seizure motion. Police’s errors at setting up a sobriety checkpoint. Being stopped at DUI checkpoint can sometimes be very defensible because the checkpoint has a lot of requirement that police does not always follow. Sometimes deviation from court mandate on sobriety checkpoints can be used by DUI attorney to get your case dismissed. This process involves litigating a motion under 4th amendment prohibiting unlawful search and seizure. Failed field sobriety tests. The prosecution usually relies on field sobriety tests very heavily, yet these tests can be very inaccurate and can give false positive results. For example, some studies show that one leg stands and walk and turn test are often failed by sober people. Moreover, there are far more factors beyond alcohol and drugs which can affect test results. Vertigo, fatigue, using prescribed medications or mouth-washing liquids can make the person look under the influence to even an experienced police officer. Horizontal gaze nystagmus, which is considered to be a reliable evidence of being drunk or drugged, can be caused by neurological dysfunctions, brain traumas, and heavy medical intoxication. No probable cause for arrest. This issue is similar to the first issue. The police officer can only place someone under arrest when there is a “probable cause” that you were in violation of the law. Mere speculation or “hunch” that you are impaired is not sufficient, the police officer has to have some evidence that you were impaired when you drove your vehicle. The police need to specifically explain the reasons for stop and explain circumstances of the arrest. Once again, the court needs to be convinced by the prosecutor that there was evidence of a crime sufficient for a probable cause to arrest. Violating the procedure of breath test. Breathalyzers, one of the most commonly used devices to test the level of alcohol in impaired drivers, is known to be inaccurate. If the precise procedure for usage and maintenance is not followed, the result of breathalyzer’s test can be thrown out. For example, the law dictates that the police officer has to observe you for 15 minutes before taking breath sample with a breathalyzer. If he or she fails to do that, call your DUI attorney who can get the results of the test thrown out based on a possibility that it is inaccurate. Also, the breathalyzers can measure a substance that is remained in your mouth but is not in your blood. For example, mouthwash or some medication or gas escaping from stomach can give a “false positive” for a breathalyzer. If you are facing jail time for your DUI, you have to call our office. We can help defend even the most difficult of cases. Los Angeles DUI attorney has years of experience defending people just like you in Los Angeles Superior Court. (818) 921 7744 Call anytime to talk directly to Los Angeles DUI Attorney.